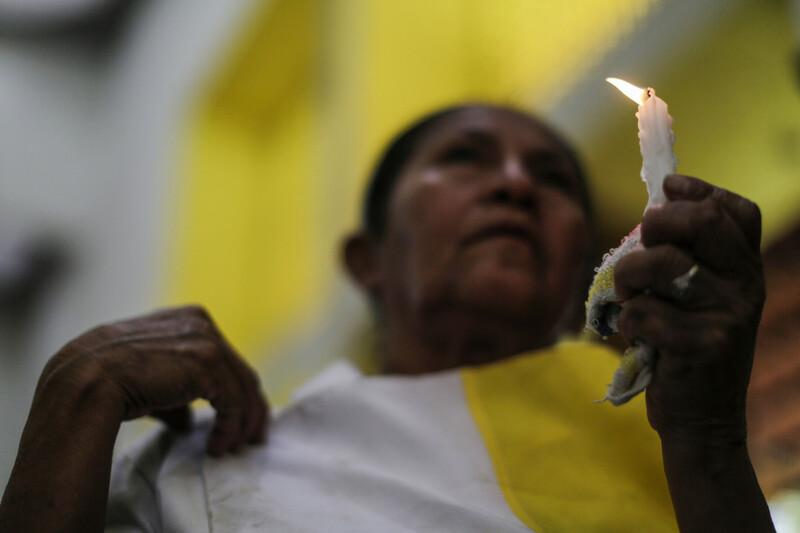 Catholics participate in a mass demanding the freedom of political prisoners in Managua, Nicaragua, on October 21st, 2018. 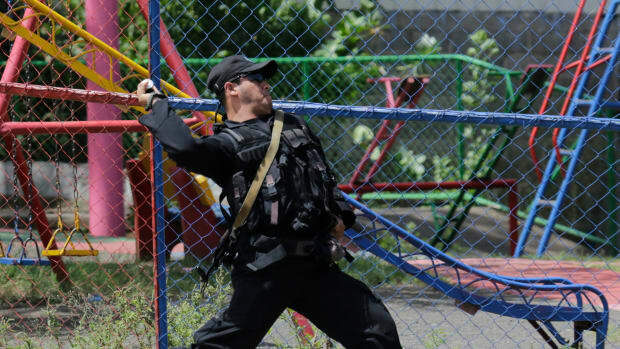 A riot policeman throws a sound grenade during clashes against protestors demonstrating against Nicaraguan President Daniel Ortega's government in Managua, on September 23rd, 2018. 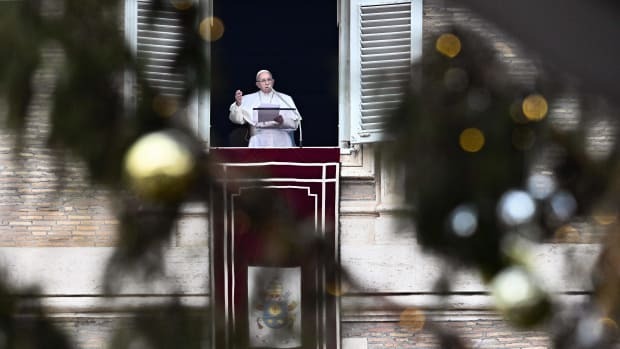 Pope Francis speaks from the window of the Apostolic Palace overlooking St. Peter's Square in the Vatican on January 13th, 2019. 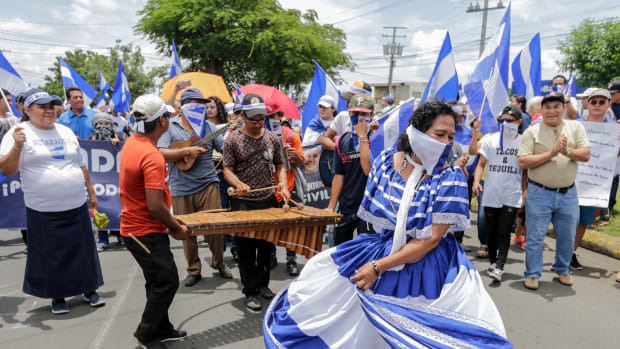 Anti-government protesters play traditional music and dance as they take part in a march demanding the release of political prisoners in Managua, Nicaragua, on August 15th, 2018. 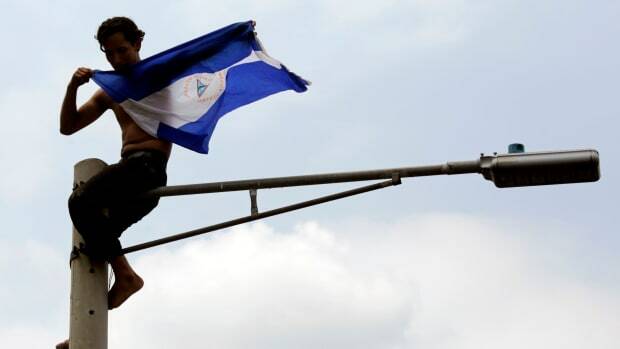 Demonstrators take part in a march against President Daniel Ortega's government in Managua, Nicaraguan, on September 9th, 2018. 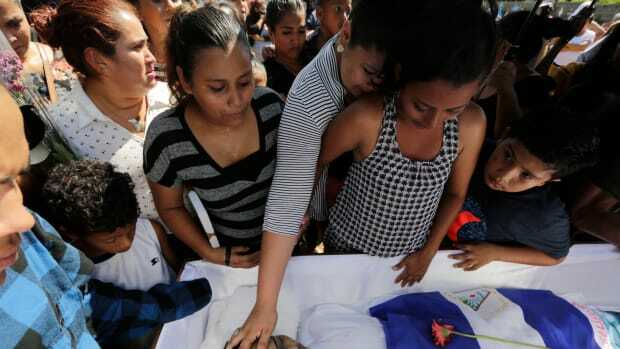 Relatives and friends mourn during the funeral of 26-year-old Ezequiel Leiva, who died in the hospital three months after being injured during anti-government protests, on September 18th, 2018, in Managua, Nicaragua.